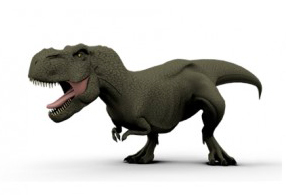 Ad Creations developers have been involved in Mobile Media for over 10 years. We created the codes for The Sun 8 Page Supplement that ran back in 2007. This was for the readers of The Sun to understand how the codes work within Advertising and Editorial. Codes can be generated at AD Creations for Print Advertising, Press Advertising, Packaging, Flyers, Brochures, TV Adverts, Business Cards, T Shirts and Promotional Events. These 2D codes store information in a digital format which can be read with mobile smart phones . Code readers are more often or not embedded into handsets but can be downloaded (for free) onto a smart phone. Data comes alive as the software makes sense of the blocks, transforming them into readable data, which is often about a brand, products or events, ticketing, URL Links, Video and contact details. At Ad Creations we can offer demographic reporting if required. Being a preferred supplier to the National Newspapers and Magazines we can create the code and verify before print. Which is important as it must link to the correct information. The information behind the code can be updated in real time. 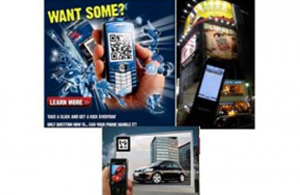 Ad Creations created a QR code for Euro sport and incorporated it within the ad creative. This code directly connected users to the Australian Open live scoring section of Euro sport’s iPhone app, showing the matches in progress, courtesy of the app’s interactive functionality. This added another level of consumer engagement. 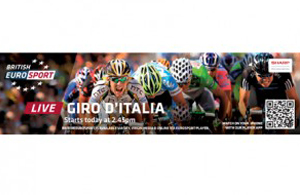 The addition of the QR code enabled Eurosport to take the reader from print to a mobile TV environment where more content could be easily accessed. 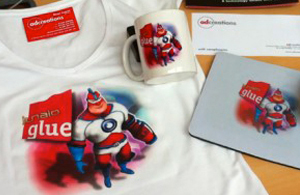 Using Mobile Media we also offer Augmented Reality and Ad Creations created the worlds first Augmented Mouse Mat, TShirt and Mugs. We have a brand Intelli T’s which are intelligent T shirts. 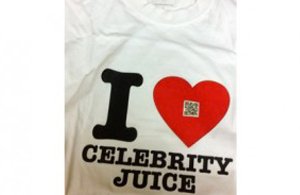 We can add any rich media and make the T – Shirt come to life. 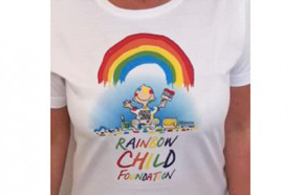 Recently we worked with Chico from the X Factor and produced a Intelli T-s for his Charity Rainbow Child Foundation. From one click on the 2D Code the whole charity Video was played through the mobile handset. We are working with the technology NFC (Near Field Communication). Which will eventually replace Codes but in the meantime they compliment each other. At Ad Creations we can work with you to Provide consultancy and management for your exact needs. 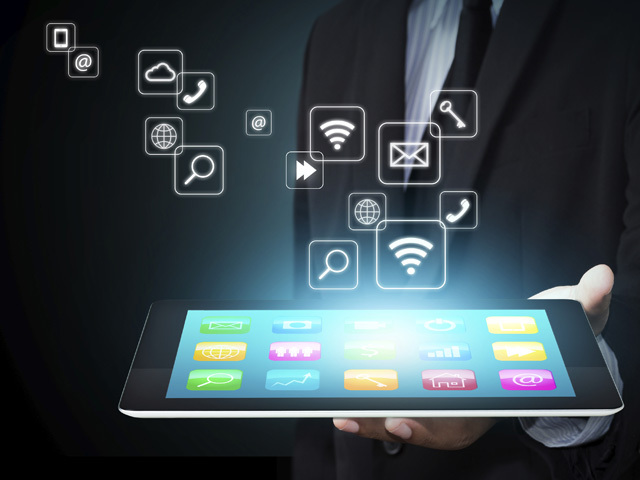 This will enable you to end up with the perfect mobile media solution. Please do not hesitate to contact us for more information.